I am thrilled to be a guest poster today on Rainy Day Mum. 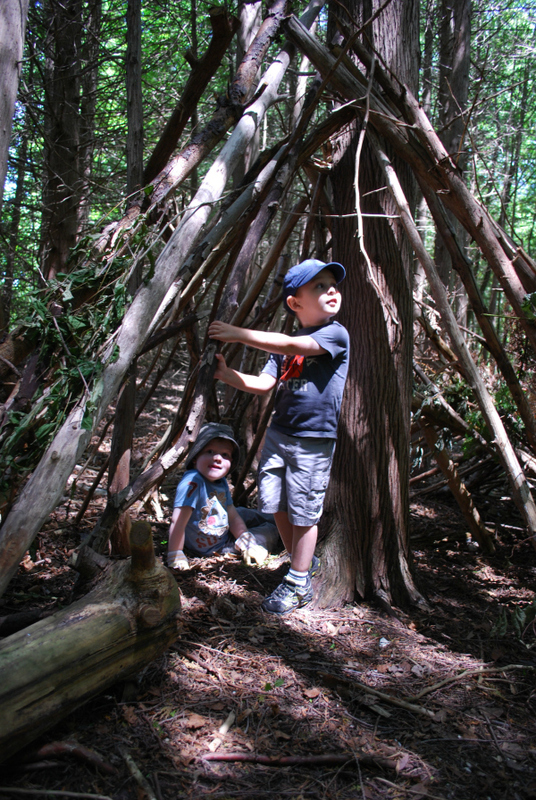 After reading the hilarious picture book, “Stella: Fairy of the Forest” we got inspired to visit our local plot of the woods and create our own stick “Forest House” – just like the characters. 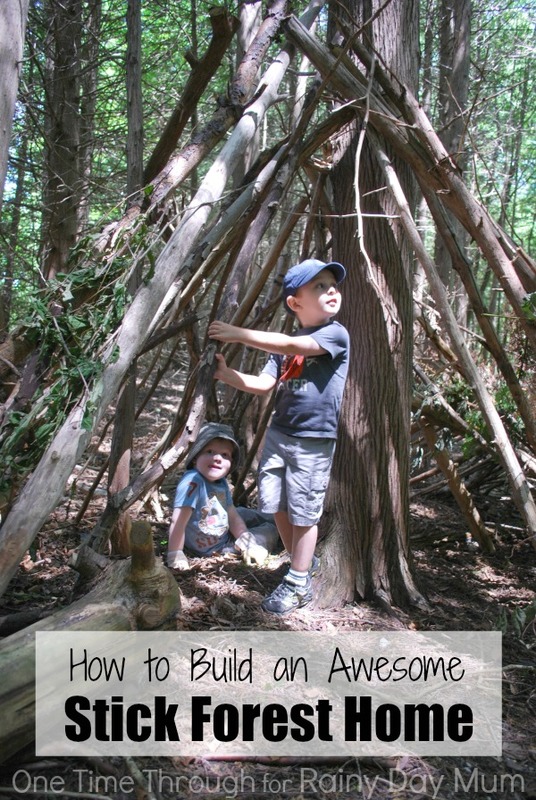 Check out the awesome fort we made – and learn how you can make a stick forest house with your kids too for an afternoon they’ll never forget! My favourite part of this activity was that it allowed the boys to get outside, be active, and get up and close with Mother nature! It was a wonderful cooperative activity because the boys had to do a lot of negotiating and compromising, and yet they had a TON of FUN! They also learned so much about structures and stability throughout the process of designing and building. I hope you’ll give this activity a try with your kids! Click here to see the post on Rainy Day Mum. Follow One Time Through’s board Nature-Lovers on Pinterest. Remember to follow us on Facebook, Twitter, and Google+! That sounds like so much fun Sinea! Thanks for dropping by and pinning!